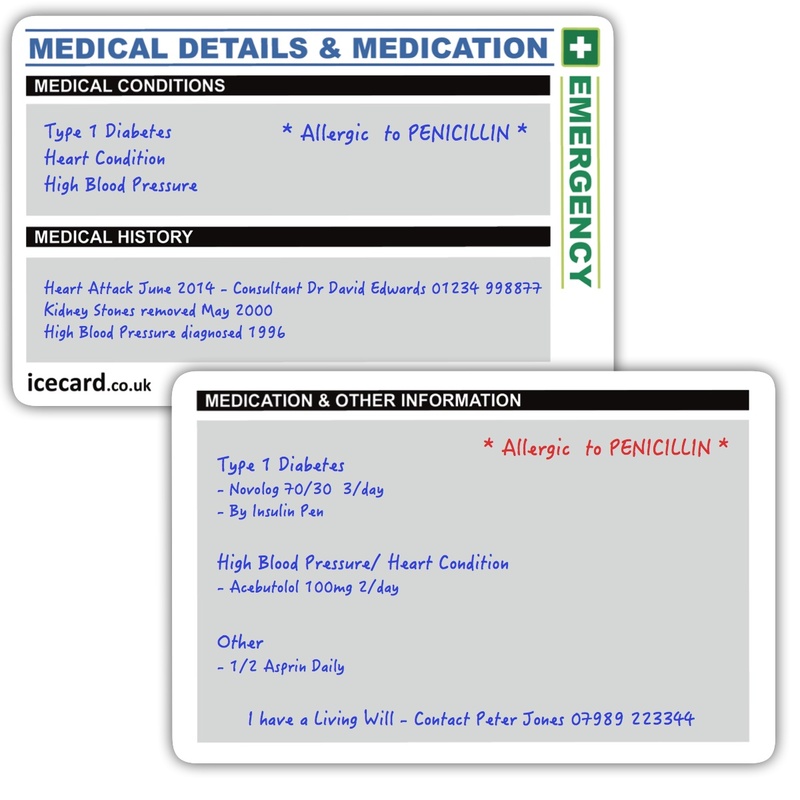 1 x MEDICAL ALERT ICECard with writable front panel for Medical Conditions & Writable Reverse for Emergency Contact Details etc. An absolutely great idea and super useful card to carry. Has all the required information, and gives me comfort knowing in an emergency that my information will be located and helpful to emergency services. This is a fantastic idea but writing on the cards was difficult. I bought this ICE pack for my husband who is a Type 2 Diabetic and I now have more peace of mind when ever we are not together. I am very pleased with both my Ice Packs. I bought one for my Diabetes Type 2 and another for important medical condition - severe Penicillin and Cephalexin allergies. However, I forgot to order additional cards for extra information which I am just going to order.